We are thankful for the guest lectures and practical sessions on Cartograms from Benjamin Hennig, Associate Professor of Geography at the Faculty of Life and Environmental Sciences of the University of Iceland and a honorary research associate at the University of Oxford. In his research, Benjamin Hennig focuses on social inequalities, humanity’s impact on Earth, global sustainability and the development of concepts for analysing, visualising and mapping these issues. 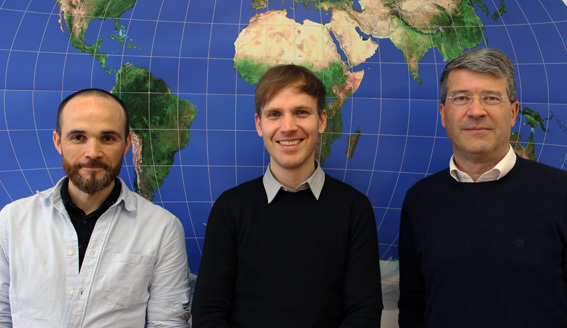 We are thankful for the guest lectures on Cartograms from Benjamin Hennig, Associate Professor of Geography at the Faculty of Life and Environmental Sciences of the University of Iceland and a honorary research associate at the University of Oxford. He researches social inequalities, humanity’s impact on Earth, global sustainability and the development of concepts for analysing, visualising and mapping these issues. CartoTalk Benjamin Hennig: Cartograms – an alternative map projection? We are happy to announce a CartoTalk by Benjamin Hennig on Tuesday, 31 May 2016, where he will talk about his main research field: Cartograms. We need new maps: In a world increasingly influenced by human action and interaction, we still rely heavily on mapping techniques that were invented to discover unknown places and explore our physical environment. Starting from how people can be put on the map in new ways, this talk outlines the development of a novel technique that stretches a map according to quantitative data, such as population. The new maps are called gridded cartograms as the method is based on a grid onto which a density-equalising cartogram technique is applied. The underlying grid ensures the preservation of an accurate geographic reference to the real world. It allows the gridded cartograms to be used as basemaps onto which other information can be mapped. This applies to any geographic information from the human and physical environment. As demonstrated through the examples, the new maps can show any quantitative geospatial data, such as wealth, rainfall, or even the environmental conditions of the oceans. 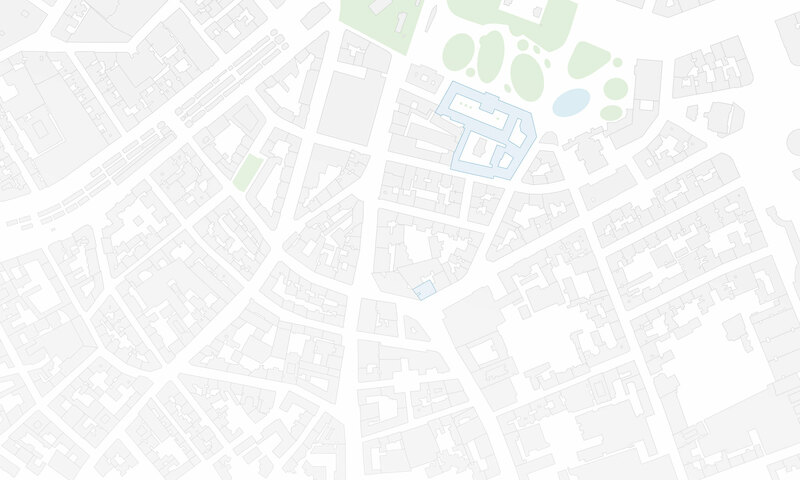 The new maps also work at various scales, from a global perspective down to the scale of urban environments. The gridded cartogram technique is proposed as an alternative map projection that is a viable and versatile alternative to other conventional map projections. The maps based on this technique open up a wide range of potential new applications to rediscover the diverse geographies of the world. They have the potential to allow us to gain new perspectives through detailed cartographic depictions. 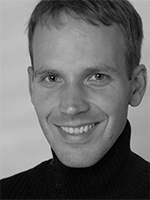 Benjamin is a geographer educated at the Universities of Cologne & Bonn and the Alfred Wegener Institute for Polar and Marine Research (Bremerhaven/Germany) where he conducted research on hyperspectral remote sensing applications in coastal ecosystems. After working as a research assistant and lecturer in human and urban geography at the Urban and Social Geography Working Group of the Department of Geography, University of Cologne (Germany) he joined the Social and Spatial Inequalities Research Group at the University of Sheffield (UK). 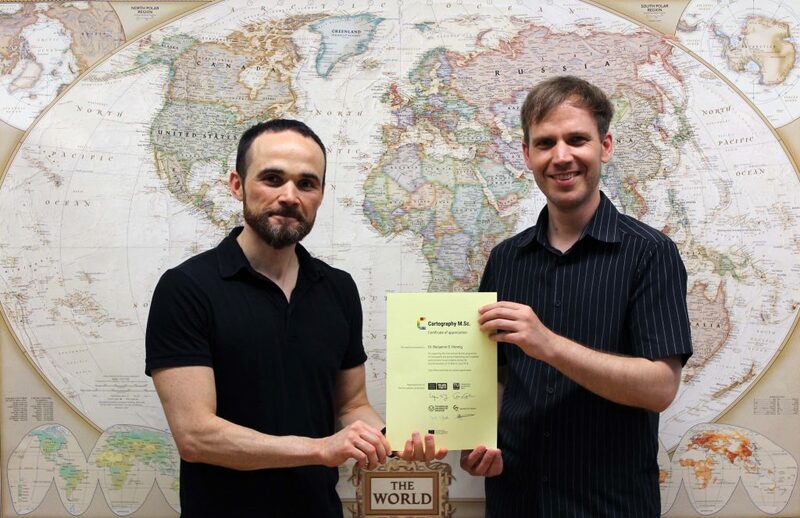 He completed his PhD as part of the Worldmapper project with research on visualising the social dimensions of our planet. He then worked as a research assistant and then as a senior research fellow at the Department of Geography at the University of Sheffield investigating social inequalities, humanity’s impact on Earth, global sustainability and new concepts for the visualisation of these issues and now continues this work as a senior research fellow in the School of Geography and the Environment at the University of Oxford. Here he also is a member of the research cluster on Transformations: Economy, Society and Place.